Hi everyone! For today’s #FandomFrenzy I am delighted to have Megan from Probability Reading. As you can guess from her blog title, Megan blogs all about books and bookish things. Check out her blog (links below). What fictional world would you most like to find yourself in? Other than Hogwarts (obviously), I think I’d like to live in Percy Jackson’s world. Living in Camp Half Blood sounds so cool even despite all the monsters. Which characters in that world would you choose to be your closest allies? Why? Annabeth and she’s just so awesome and smart and Grover as he sounds like a great friend and a great laugh. Percy weirdly, I think his spontaneous, danger hunting attitude would clash with my quieter personality so I don’t think we’d get along. Although I couldn’t say we’d be enemies as such. Just people that couldn’t get along in real life. How do you think you would cope walking in the shoes of that fandom’s protagonist? No because as I’ve already mentioned, I’m a much quieter, non-adventurous, non-spontaneous type that would probably cry if it saw a minotaur. I’d change the way fights happened by using tactics rather than rushing into the fight and I’d probably be smarter about my sassy word choices to the Gods too. Zeus’s lightning bolt is definitely scary enough to be polite to them. BONUS: Which fictional world wouldn’t you like to find yourself waking up in? Why? Panem pre-revolution from the Hunger Games, I’d most likely die if I was chosen for the games and knowing my luck I’d be picked even if my name wasn’t in that bowl at all. 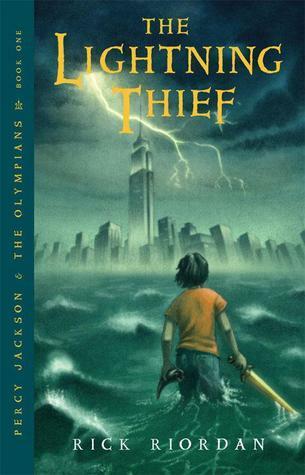 I may be the last blogger on the planet not to have read a single Percy Jackson book… I hear about the series all the time though and it certainly sounds interesting! Panem is such a popular choice as a fictional world people don’t want to go do and I absolutely agree! A HUGE thanks to Megan for participating in this feature. You can find out more about Megan on her blog, Instagram and follow her on Twitter too! Follow me on Twitter, Instagram, Bloglovin’ or Goodreads. Comments are always warmly welcome. ← Bullet Journal: September Set Up! I don’t think I’d get on with Percy either. I do not know!! A few people have said this to me but I feel like I must have completely bypassed them! Hi! I'm Kelly and a self-confessed lover of all bookish things. I love to read all sorts of books but mainly YA. Here you'll find a selection of book reviews and other bookish posts. Bullet journal posts and other ramblings occasional appear too. Finally picked up my first read for #OwlsReadathon2019 and look at this! I found this heart warming message hidden halfway through the book. It must have been slipped in back when it was on the shelves in @waterstonescdf 😍☺️ how lovely! Six for Sunday | Bookish Hates Find out 6 of my bookish peeves! BLOG TOUR: All The Lonely People by David Owen ★★★★ review | Thought provoking and timely.